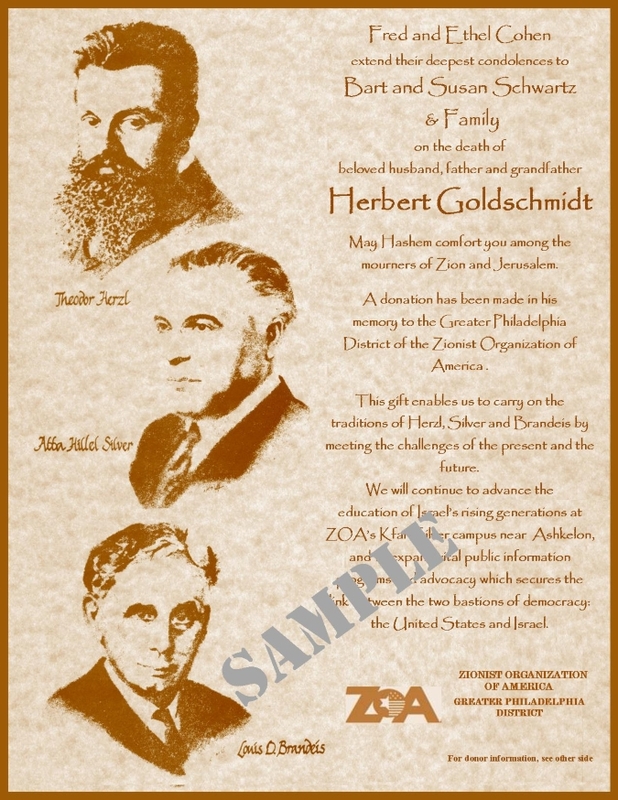 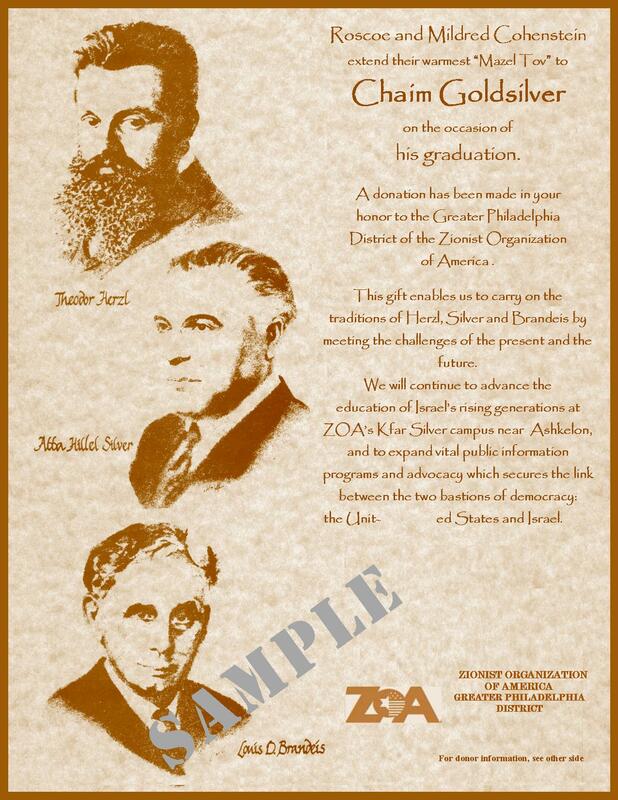 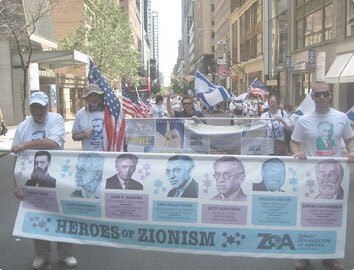 Order a Greater Philadelphia ZOA certificate in honor or in memory of a friend or relative. A classy way to remember a loved one or to celebrate a birthday, anniversary, graduation or simcha — while also supporting the work of Greater Philadelphia ZOA! 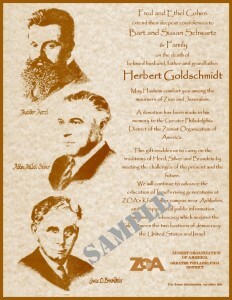 We will send this custom-made, frame-ready certificate for a minimum donation of $18.